Wedding bells are ringing and happy couples are all around, and you are..? At the bar alone, swaying slowly to the music? Wedding season is a happy time for couples, but don’t think just because you’re single you have to miss out on all the fun. Attending weddings while single can be a great experience and a chance for you to really be the life of the party, if you let it. If you’re worried about looking or feeling awkward while everyone around you is pairing off on the dance floor, stay busy! 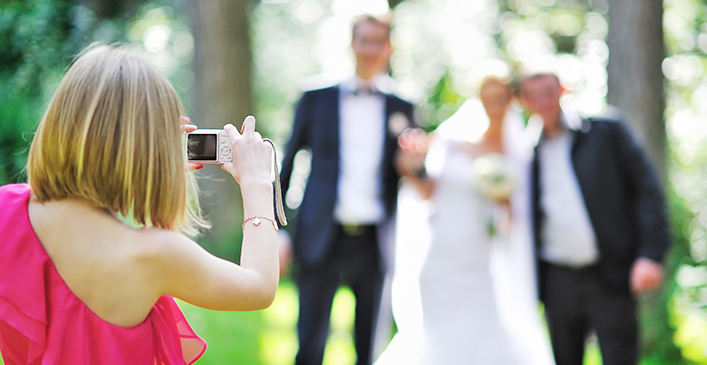 Offer to help the bride and groom on their special day by helping them complete important tasks such as organizing the gifts, helping to move décor, or even taking candid photographs of the guests. Not only will you help the happy couple, but you’ll be too busy to even think of your single status.